The UChicago Charter School is a public charter school in the Chicago Public Schools district composed of four campuses serving approximately 1,600 students on Chicago’s South Side. UChicago Charter’s North Kenwood/Oakland and Donoghue elementary campuses serve grades preK–5, its Carter G. Woodson middle school campus serves grade 8, and its combined middle and high school campus serves grades 6-12. Together, the four campuses of the UChicago Charter School provide a pre-kindergarten through twelfth grade “superhighway” to college, cultivating students to become critical thinkers and leaders who succeed in four-year colleges and beyond. Serving students from grades preK through 12 on the south-side of Chicago. Our scholars go on to study at some of the best colleges and universities here in the U.S. and abroad. With partners from across the University of Chicago and the city, our dedicated people help our students succeed every day. The University of Chicago Charter School prepares 100% of students for college acceptance and graduation through a preK to 12 superhighway which cultivates culturally aware critical thinkers and leaders. Mission The University of Chicago Charter School prepares 100 percent of its students for college acceptance and graduation through a preK to 12 superhighway which cultivates culturally aware critical thinkers and leaders. The UChicago Charter School was founded on the belief that all students are capable of achieving academic excellence and realizing their highest potential through ambitious instruction and strong support networks. At the heart of the UChicago Charter School’s model are ambitious learning goals for students. The UChicago Charter School’s founders believed that school subject matter should be engaging, intellectually challenging, and relevant to students’ lives, and that teachers should go beyond imparting information to elicit student thinking. In contrast to many conventional approaches to teaching, which emphasize the absorption of facts and procedures, the UChicago Charter School emphasizes the development of “higher-order” abilities such as the capacity to synthesize and explain complex ideas, interpret and construct arguments, test hypotheses, discover patterns, evaluate claims, and support conclusions with evidence. UChicago Charter provides students with rigorous instruction and comprehensive academic and social supports to accelerate learning, develop college readiness, and cultivate self-responsibility and leadership. Our campuses provide extensive instructional time and take a research-based approach to instruction, engaging students in ambitious intellectual work and using diagnostic assessments to gauge their progress toward learning standards as well as tailor instruction to students’ individual needs. Intensive professional development and supports are in place for campus directors and teachers, and an advanced technological infrastructure supports both teaching and learning at each UChicago Charter School campus. Parent centers and parent leadership are also an integral part of our school culture. The UChicago Charter School’s founders believed partnerships between parents and teachers mattered—not just during a crisis or when a student experiences serious learning difficulties, but on a daily, ongoing basis, to ensure each child was on track to meet the school’s ambitious learning goals. Consequently, UChicago Charter leaders and teachers make continuous engagement and coordination with parents a central part of their efforts to foster ambitious learning. 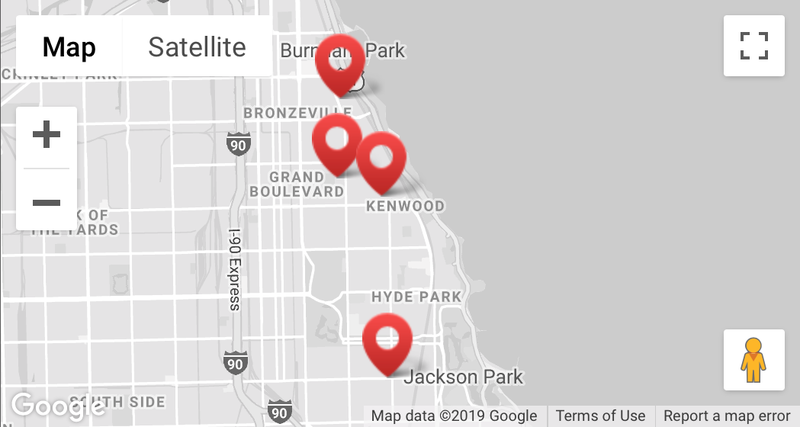 The UChicago Charter School has a Director of Partnerships, Family, and Community Engagement who is devoted to developing strong relationships with students and families, and connecting them with local community resources when needed. Above all, our teachers, staff, and leaders are dedicated and skilled educators who guide and inspire our students to rise to excellence and achieve at high levels. Students undertake research projects in the humanities, sciences and social sciences, beginning in elementary school and culminating with thesis projects in the senior year. Each campus envelops students in a culture of high academic achievement, with explicit attention to issues of race, class, culture, and gender that affect urban schooling. UChicago Charter uses diagnostic assessments to gauge student progress towards learning standards, using the results to fine-tune instruction, introduce interventions, and target academic and social supports. Intensive professional development, supports and incentives are in place for teachers and school leaders. An advanced technological infrastructure supports teaching and learning. Parent centers and parent leadership are integral to our school culture. Above all, our teachers, staff and leaders are dedicated, knowledgeable and skillful educators who teach, support, and inspire our students to achieve at high levels. The University of Chicago Charter School is led by a team of dedicated, experienced educators—leaders who truly believe that all of our young people are capable of extraordinary things. Our school leaders relentlessly champion students’ potential and possibilities at every grade level to help each student rise to excellence. Click below to learn more about our team. Tanika Island Childress is the Chief Executive Officer and Director of the University of Chicago Charter School and its four campuses, as well as a managing director of the University of Chicago Urban Education Institute (UEI). Jerrold is the Chief Academic Officer for the University of Chicago Charter School’s four campuses. In this role, Washington works directly with campus directors and their leadership teams in preparing 100% of our students for college acceptance and graduation. Todd is the Director of Partnerships at the University of Chicago Charter School. Barnett collaborates with the University of Chicago Laboratory School in particular, creating and managing special joint programming opportunities for students and families through the Lim Family partnership. Dr. Ramon Griffin serves as Chief Culture Officer for the University of Chicago Charter School’s four campuses. Dr. Griffin recently graduated from Michigan State University with a Ph.D. in K-12 Educational Administration focusing on the ramifications of ‘No Excuses’ discipline in urban schools, the hazardous effects of complex trauma, and the school to prison pipeline for adolescent black males. 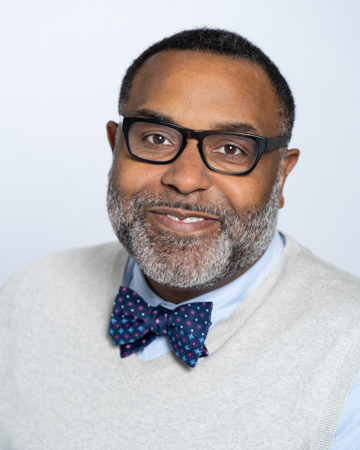 Professionally, Griffin has worked as a teacher, a dean of students and as a director of school culture in Charter Management Organizations (CMOs) in Houston, New Orleans, and Detroit. 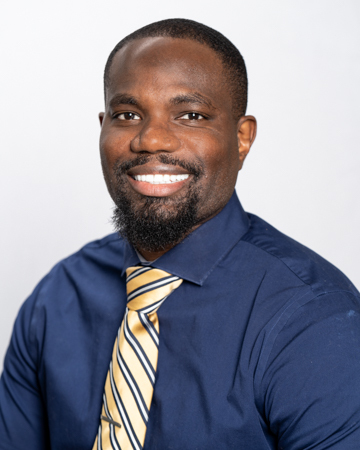 Griffin was also a visiting researcher and facilitator with the Trauma Responsive Educational Practices (TREP) project at the University of Chicago and has also served as a juvenile detention officer in Harris County, TX. 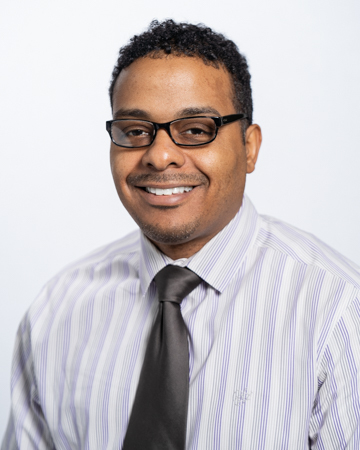 Dr. Griffin is a proud Ford Heights, IL native and he holds a Bachelor of Arts degree in Sociology and Criminal Justice from the historically black college, Dillard University in New Orleans, LA. 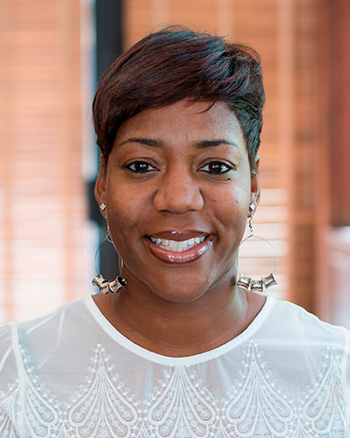 Carla Scott serves as the Director of Admissions for the University of Chicago Charter School. In partnership with the admissions team and campus operations managers, Scott oversees the application, registration, and enrollment process for school’s four campuses. 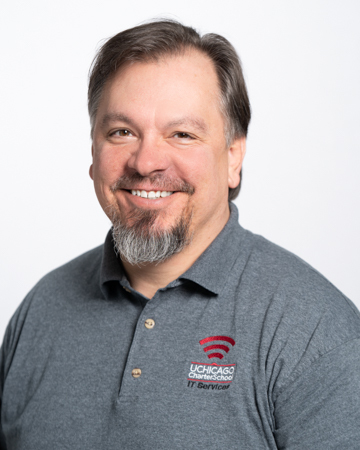 Scott also collaborates with the communications team to develop recruitment materials and coordinate and execute recruitment strategies for UChicago Charter. Prior to working as director of admissions, Scott worked for all four campuses as project manager for the University of Chicago Charter School and supported office staff at Woodlawn Campus. Scott’s two children currently attend the UChicago Charter School. 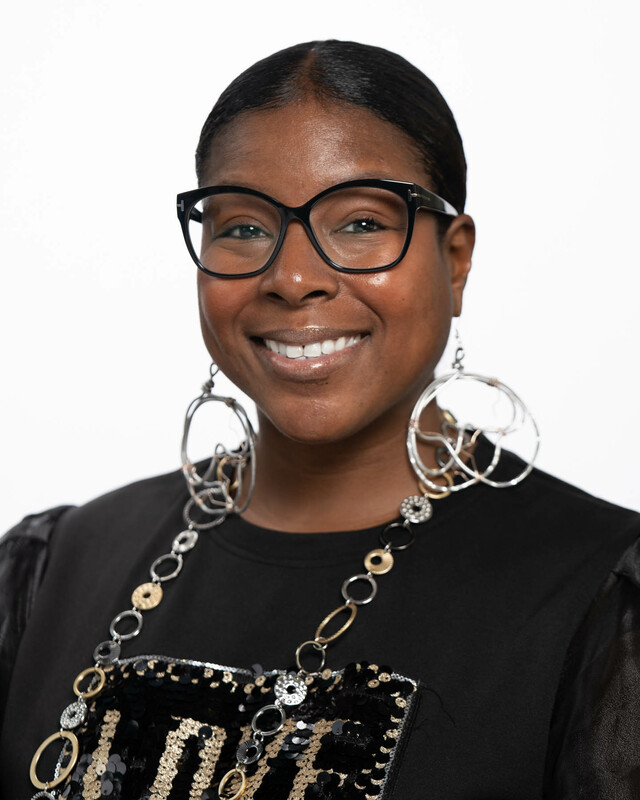 LaTonya Hill has been appointed Director of Family and Community Engagement for the University of Chicago Charter School. She will work closely with Todd Barnett to support the Family Teacher Community Organization (FTCO) and engage families across all four UChicago Charter campuses. Hill will also support the coordination of parent volunteers at the campuses, lead new efforts to enhance student retention, and establish new partnerships with community-based organizations to expand resources for parents. Hill has been a UChicago Charter Donoghue parent since 2005 and was named Family Support Counselor at Donoghue in 2009. As Family Support Counselor, Hill served as a liaison between the school and the most at risk students and their families. She facilitated academic and social support meetings, in which parents collectively brainstormed ways to support students who were struggling academically. She also worked on the Birth-to-College Initiative, communicating with families whose children were transitioning from childhood support centers into UChicago Charter. Tony Pajakowski is the Chief Technology Officer at the University of Chicago Charter School. Pajakowski works with leaders across the school to strengthen the vision for technology implementation in grades preK to 12. 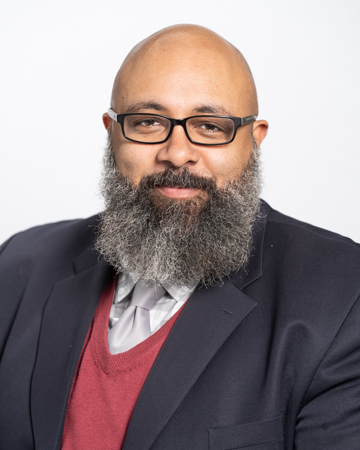 He serves as the principal advisor on all technology systems and initiatives and helps design, develop, implement, and maintain a data platform to enable continuous academic and operational improvement across the University of Chicago Charter School. 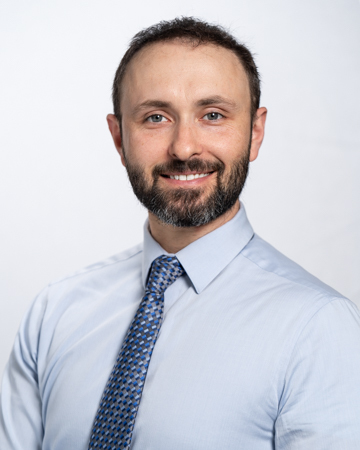 Prior to joining UEI, Pajakowski worked for eight years with Perspectives Charter School, serving in roles including the director of data and accountability at Perspectives Charter School and as the principal of Calumet High School of Technology. Pajakowski is a New Leaders for New Schools Alumni and has previously served as the director of Chicago Public Schools’ Technology Services eLearning Office. He started his career as a teacher at Thurgood Marshall Middle School, located on Chicago’s North-West Side. Pajakowski attended the United States Military Academy at West Point, the University of Notre Dame and holds his undergraduate degree from Northeastern Illinois University. He earned a Masters in Education in Curriculum and Technology from the University of Phoenix and a second Masters Degree in Administration and Supervision from National Louis University. Will Torres serves as Chief College Officer of the University of Chicago Charter School. Torres is responsible for promoting a college going culture that ensures UChicago Charter graduates receive the support that they need to meet the school’s goal for 100% college acceptance and graduation. Prior to joining UEI, Torres most recently worked as the Assistant Dean of Admissions at Pomona College in California. Torres holds a Bachelor’s Degree in Black Studies and English from the College of Wooster in Wooster, Ohio. 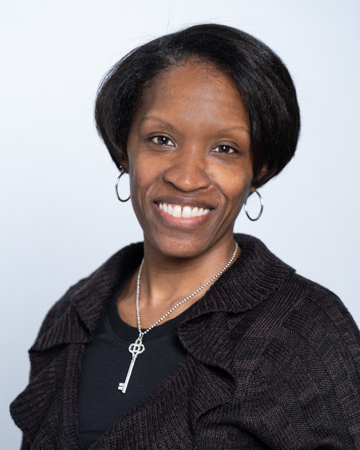 Tonya Howell has worked with the UChicago Charter School since 2010, beginning as a fourth grade instructor and literacy coach before becoming their instructional coach, assistant director, and eventually campus director in 2015. Prior to joining UChicago Charter, Howell served as a teacher in Chicago Public Schools. She received her Type 75 administrative certification in 2007 and joined the Chicago New Teacher Center in 2008. Howell holds a BA in elementary education and teaching from the University of Illinois at Chicago and an MEd in education administration and leadership from Grand Canyon University. Erin Gilmore Slack is the Director of the Donoghue (DON) Campus. Prior to assuming the role of Campus Director at Donoghue, Erin served as the Resident Principal at Belding Elementary through a partnership between Dominican University and the Chicago Leadership Collaborative. Through her residency experience, Erin was able to focus on providing instructional coaching to teachers, leading professional development and data analysis sessions and facilitating parent engagement workshops. Erin started her teaching career in the West Englewood neighborhood as a 4th grade teacher in Chicago Public Schools. She then served the Donoghue campus for 5 years as both a 3rd grade teacher and instructional coach. 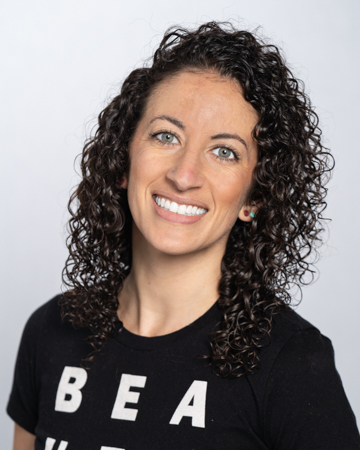 Erin is passionate about building partnerships that will accelerate the development of young scholars into leaders who will have a positive impact on the community. As a career changer, Erin holds a Bachelor’s Degree in Marketing from DePaul University and started her professional career in pharmaceutical sales. She then attended Northwestern University, where she earned a Master’s Degree in Elementary Education. She also holds a Master’s Degree in Educational Leadership from Dominican University. Jarred Brown has seventeen years of experience in the field of education. He started teaching in 1998 in district #129 where he taught for two years after receiving his Bachelor’s degree in Early Childhood Education from Illinois State University. He then was given the opportunity to be a part of the teaching staff to open New Dawes Elementary School, a Chicago Public School in 2000. New Dawes later became Lionel Hampton fine and performing arts elementary school where Brown continued his teaching career for the next five years. During this time, he earned his Masters Degree in Education, Supervision, and Leadership from St. Xavier University. In 2005 he was asked to be the curriculum coordinator/ parent facilitator, and then became the Assistant Principal for the next three years. In May of 2009 Brown became the Assistant Director for UChicago Charter Carter G. Woodson Campus. He worked to improve the quality of instruction and student performance in this role for 7 years, until June of 2016, when he transitioned to his current role. Prior to joining UEI, Kieran Palmer-Klein served as a leader of the University YES Academy in Detroit, MI, supervising 14 teachers, designing and leading professional development, facilitating the student discipline system and managing all interim assessment implementation, data collection, and analysis. While in Boston earning his Masters in Education at the Harvard Graduate School of Education, he also served as a resident principal of the award-winning City On A Hill High School. Palmer-Klein began his teaching career as a Teach for America Corps Member at Gage Park High School on Chicago’s Southwest Side. During his six-year tenure at Gage Park, 55% of his Advanced Placement Biology students passed the end-of-year exam, exceeding the national average for all students, not just students of color. While at Gage Park he also served as the One Goal Graduation Program Director, helping to launch the program and directly mentoring 36 alumni (24 juniors, 12 sophomores) all of whom are currently enrolled in college. Palmer-Klein earned his Bachelor’s in Biology and Psychology from Macalester College, a Master of Education from Concordia University in Literacy, and an Master of Education in School Leadership from the Harvard Graduate School of Education. He also holds a certification from the KIPP School Leadership Program. 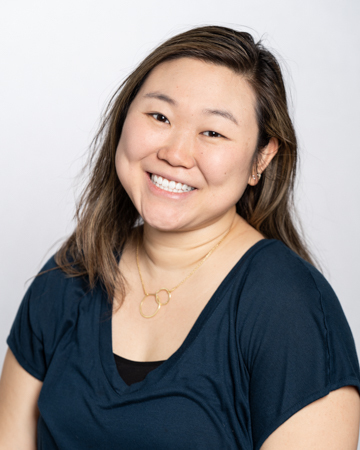 Sonia Wang is the Middle School Director at the University of Chicago Charter School – Woodlawn (UCWMS) Campus. Wang, endorsed in Middle School Social Sciences, Language Arts, and Math, strives to find meaningful and relevant ways to challenge adolescents in the classroom. She spent five years teaching middle school English/Language Arts and Social Justice after graduating from the University of Chicago Urban Teacher Education Program (Chicago UTEP) with her MAT. Wang then stepped into a leadership position, serving as the Middle School Instructional Coach and Literacy Specialist for two years. Wang served as the Assistant Director for two years, working to maintain a safe, collaborative and rigorous culture and context for learning and growth for students and staff.